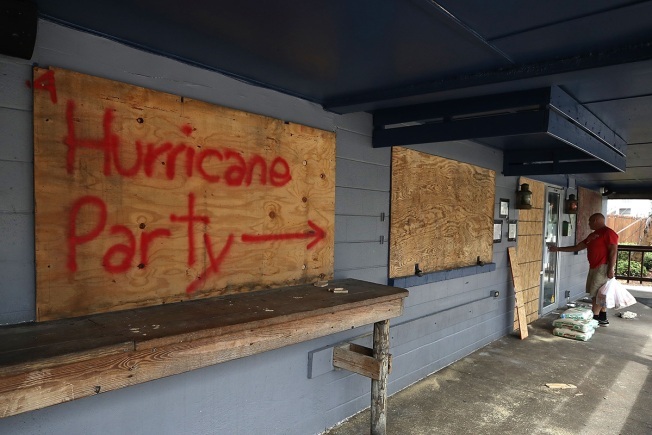 Hurricane Party is written on plywood covering the window of the Lager Heads Tavern as they prepare for the arrival of Hurricane Florence on September 11, 2018, in Wrightsville Beach, North Carolina. 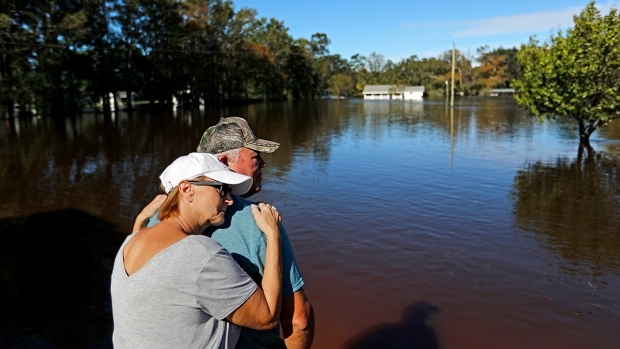 The Category 4 storm's approach led to a series of schedule adjustments Tuesday for teams in the Carolinas and Virginia. The list of canceled games include No. 13 Virginia Tech's home game against East Carolina, No. 14 West Virginia's trip to North Carolina State, Marshall's game against South Carolina and No. 18 UCF's game at North Carolina. Virginia has moved its Saturday home game against Ohio to Nashville, Tennessee, with the Category 3 storm forecast to come ashore along the Carolinas' coastline late Thursday or early Friday, bringing strong winds and heavy rain throughout the region.